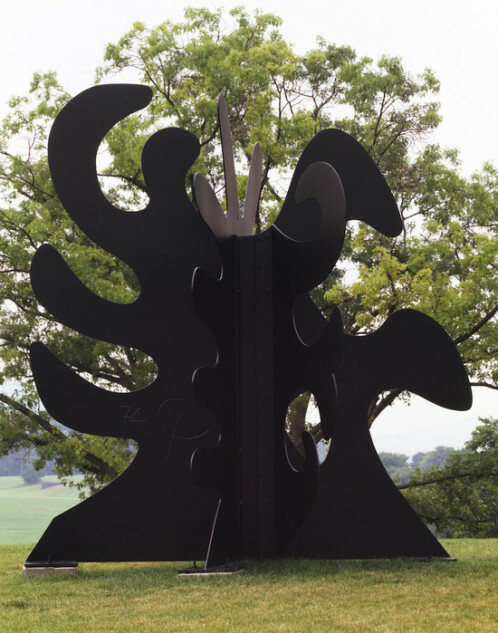 In the mountainous Gstaad landscape, Hauser & Wirth and the Calder Foundation are exhibiting six works by Alexander Calder. Entitled Calder in the Alps, this outdoor show displays a standing mobile and five stabiles in the public locations of Launensee, in front of the Kirche Saanen, the promenade fronting UBS bank and in the grounds of Le Grand Bellevue hotel. Calder in the Alps presents works from the late period of Calder’s career when he concentrated on big scale, majorly commissioned works. Among the six works on view, there is 3 flèches blanches, the only standing mobile on display that was last exhibited in front of Mies van de Rohe’s Seagram Building in New York and Tripes, a black monumental work composed of circular arms reaching out in various directions. 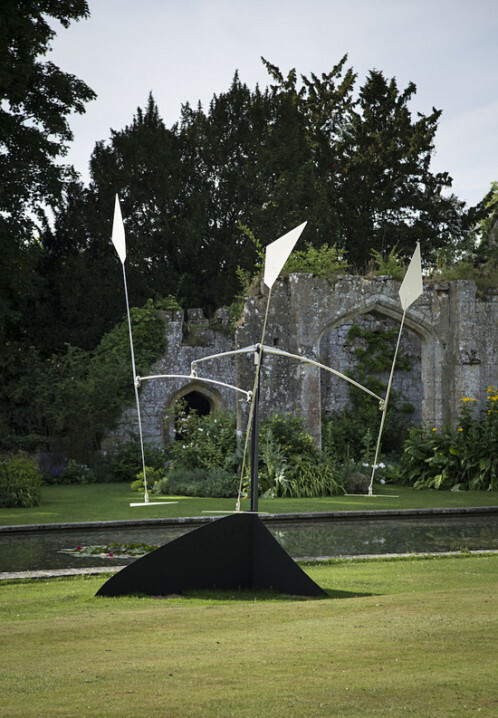 The sculptures will be on display in Gstaad until the end of September, coinciding with the exhibition currently on view at the Foundation Beyeler in Basel entitled Calder & Fischli/Weiss.